WVU Writing Center Blog: Holiday Party and Themes! Well it's that time of the year again. 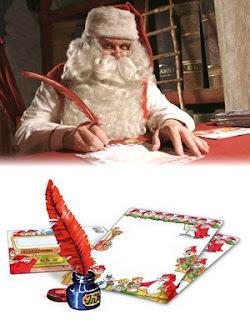 Santa is making his list and checking it twice, and bringing his list to the Writing Center to make sure the organization works for the prompt. For the Secret Santa theme days, check the poll out on the right. Vote for the top 5 themes that you think would be the best for this year's Secret Santa. If you have any suggestions for other themes, feel free to contact us! The poll will be up for 2 weeks! Fall 2008 Newsletter Now Available! Writing Center Service Project Needs You!